Let me explain what the robots were doing. Paul had programmed two different demonstrations, one with fixed behaviours and the other with learning. Short-range avoidance. 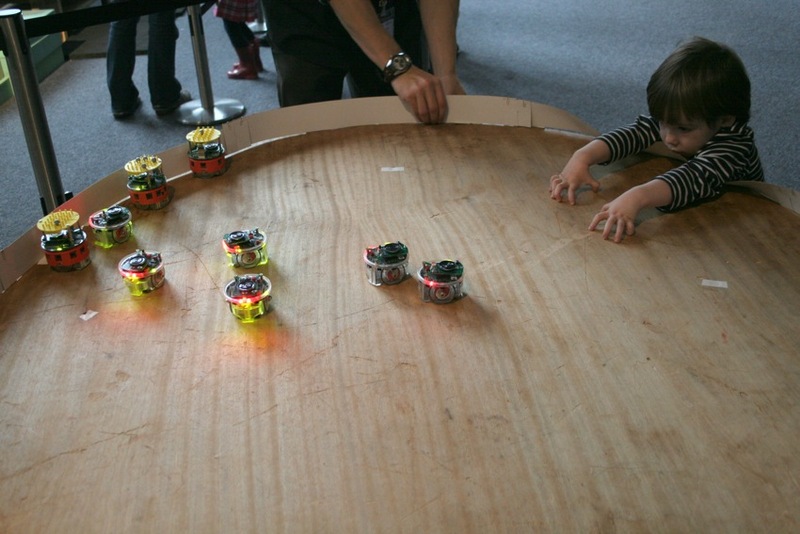 If a robot gets too close to another robot or an obstacle then it turns away to avoid it. Longer-range attraction. If a robot can sense other robots nearby but gets too far from the flock, then it turns back toward the flock. And while in a flock, move slowly. 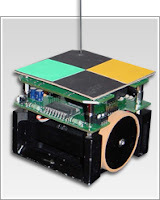 If a robot loses the flock then it speeds up and wanders at random in an effort to regain the flock (i.e. another robot). While in a flock, each robot will communicate (via infra-red) its estimate of the position of an external light source to nearby robots in the flock. While communicating the robot flashes its green body LED. Also while in a flock, each robot will turn toward the 'consensus' direction of the external light source. The net effect of these low-level behaviours is that the robots will both stay together as a swarm (or flock), and over time, move as a swarm toward the external light source. Both of these swarm-level behaviours are emergent because they result from the low-level robot-robot and robot-environment interactions. While the flocking behaviour is evident in just a few minutes, the overall swarm movement toward the external light source is less obvious. In reality even the flocking behaviour appears chaotic, with robots losing each other, and leaving the flock, or several mini-flocks forming. The reason for this is that all of the low-level behaviours make use of the e-puck robots' multi-purpose Infra-red sensors, and the environment is noisy; in other words because we don't have carefully controlled lighting there is lots of ambient IR light constantly confusing the robots. 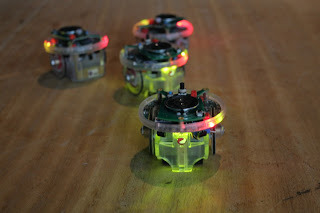 The learning demo is a little more complex and makes use of an embedded evolutionary algorithm, actually running within the e-puck robots, so that - over time - the robots learn how to flock. This demo is based on Paul's experimental work, which I described in some detail in an earlier blog post, so I won't go into detail here. It's the robots with the yellow hats in the lower picture above. What's interesting to observe is that initially, the robots are hopeless - constantly crashing into each other or the arena walls, but noticeably over 30 minutes or so we can see the robots learn to control themselves, using information from their sensors. The weird thing here is that, every minute or so, each robot's control software is replaced by a great-great-grand child of itself. The robot's body is not evolving, but invisibly its controller is evolving, so that later generations of controller are more capable. The magical moment of the two days was when one young lad - maybe 12 years old, who very clearly understood everything straight away and seemed to intuit things I hadn't explained - stayed nearly an hour explaining and demonstrating to other children. Priceless. 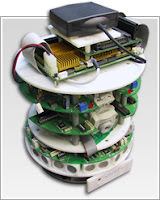 Here are the slides for the IET public lecture I gave in Sheffield on 2 September 2011 on the final day of the conference Towards Autonomous Robotic Systems (TAROS). This is me discussing robot ethics with Dallas Campbell for BBC1's Bang Goes The Theory. I outline the five new ethical principles for roboticists proposed by the EPSRC/AHRC working group. Click here for the working group's full report, including a commentary on these draft proposals. With thanks to Simon Mackie, senior content producer for the Bang Goes The Theory website, for the code to embed this video clip. You are technically literate, an engineer or scientist perhaps with a particular interest in robotics, but you've been stranded on a desert island for the past 30 years. Rescued and returned to civilisation you are keen to find out how far robotics science and technology has advanced and - rejoicing in the marvellous inventions of the Internet and its search engines - you scour the science press for robonews. Scanning the headlines you are thrilled to discover that robots are alive, and sending messages from space; robots can think or are "capable of human reasoning or learning"; robots have feelings, relate to humans, or demonstrate love, even behave ethically. Truly robots have achieved their promised potential. Then of course you start to dig deeper and read the science behind these stories. The truth dawns. Although the robotics you are reading about is significant work, done by very good people, the fact is - you begin to realise - that now, in 2011, robots cannot properly be said to think, feel, empathise, love or be moral agents; and certainly no robot is, in any meaningful sense, alive, or sentient. Of course your disappointment is tempered by the discovery that astonishing strides have nevertheless been made. So, robotics is subject to journalistic hype. Nothing new there then. So why am I writing about it here (apart from the fact it annoys the hell out of me)? 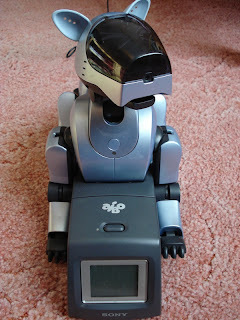 I write because I think that robohype is a serious problem and an issue that the robotics community should worry about. The problem is this. Most people who read the press reports are lay readers who - perfectly reasonably - will not read much beyond the headline; certainly few will look for the source research. So every time a piece of robohype appears (pretty much every day) the level of mass-delusion about what robots do increases a bit more, and the expectation gap widens. Remember that the expectation gap - the gap between what people think robots are capable of and what they're really capable of - is already wide because of the grip robots have on our cultural imagination. We are at the same time fascinated and fearful of robots, and this fascination feeds the hype because we want (or dread) the robofiction to become true. Which is of course one of the reasons for the hype in the first place. But the expectation gap is a serious problem. It's a problem because it makes our work as roboticists harder, not least because many of the hard problems we are working on are problems many people think already solved. It's a problem because it is, I believe, creating pressure on us to over-promise when writing grant applications, so solid important incremental research grants get rejected in favour of fantasy projects. Those projects inevitably fail to deliver and over time funding bodies will react by closing down robotics research initiatives - leading to the kind of funding winter that AI saw in the 1990s. And it's a problem because it creates societal expectations on robotics that cannot be met - think of the unrealistic promise of military robots with an artificial conscience. Who's to blame for the robohype? Well we roboticists must share the blame. When we describe our robots and what they do we use anthropocentric words, especially when trying to explain our work to people outside the robotics community. Within the robotics and AI community we all understand that when we talk about an intelligent robot, what we mean is a robot that behaves as if it were intelligent; intelligent robot is a convenient shorthand. So when we talk to journalists we should not be too surprised when "this robot behaves, in some limited sense, as if it has feelings" gets translated to "this robot has feelings". But science journalists must, I think, do better than this. Words in robotics, as in life, are important. When we describe our robots, their capabilities and their potential, and when science reporters and bloggers bring our work to wider public attention, we need to choose our words with great care. In humanoid robotics where, after all, the whole idea is to create robots that emulate human behaviours, capabilities and cognition, perhaps we just cannot avoid using anthropocentric words. Maybe we need a new lexicon for describing humanoid robots; perhaps we should stop using words like think, feel, imagine, belief, love, happy altogether? Whatever the answer, I am convinced that robohype is damaging to the robotics project and something must be done. This blog post could well turn out to be to be the most boring I've ever written - but I think it's important. I want to write about something that robotics desperately needs: an industry standard interface specification (see I told you it was going to be boring). Let me explain what I mean by talking about a fantastically successful standard called MIDI, that has without doubt played a significant role in the success of music technology. MIDI stands for musical instrument digital interface. It provides an industry standard for connecting together electronic musical instruments, i.e. synthesisers, computers and all manner of electronic music gizmos. 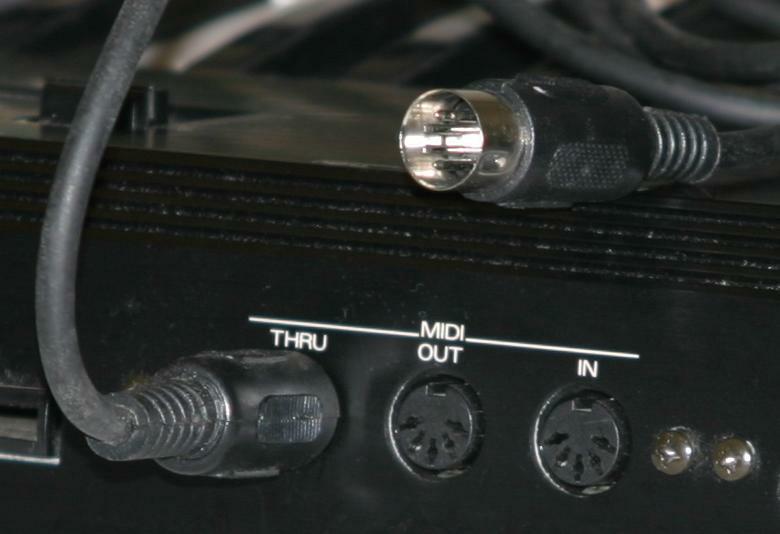 The important thing about MIDI is that it specifies everything including the physical plug and socket, the electrical signalling, the communications protocol and the messages that can be sent or received by MIDI connected devices. With great foresight MIDI's designers provided in the protocol both standard messages that all MIDI equipped electronic musical instruments would expect to send and receive - and recognise, but also customisable messages that manufacturers could specify for particular instruments and devices. In MIDI each instrument is able to identify itself to another device connected via MIDI; it can say, for example, I'm a Roland synthesiser model ABC. If the other device, a sequencer for instance, recognises the Roland ABC it can then access that instrument's custom features (in addition to the standard functions of all MIDI devices). Robotics needs a MIDI specification. Let's call it RSIS for Robot Standard Interface Specification. Like MIDI, RSIS would need to specify everything from the physical plug and socket, to the structure and meaning of RSIS messages. Devising a spec for RSIS would not be trivial - my guess is that it would be rather more complex than MIDI because of the more diverse types of robot devices and peripherals. But the benefits would be immense. 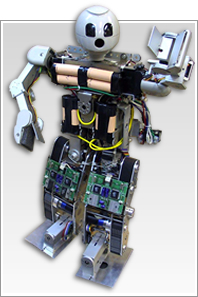 RSIS would allow robot builders to plug and play different complex sensors and actuators, from different manufacturers, to create new robot bodies and new functionality. Imagine, for instance, being able to take a Willow garage PR2 robot and fit a humanoid robot hand from the Shadow Robot Company. Of course there would need to be a mechanical mounting to physically attach the new hand, but that's not what I'm talking about here; I'm referring to the control interface which would be connected via RSIS. The PR2 would then, via the RSIS connection, sense that a new device had been connected and, using standard RSIS messages, ask the new device to identify itself. On discovering it has a handsome new Shadow hand the PR2 would then install the device driver (downloading it from the cloud if necessary) and, within a few seconds, the new hand becomes fully functional in true plug and play fashion. Industry standards, and the people who create them, are the unsung heroes of technology. Without these standards, like UMTS, TCP/IP, HTTP or IEEE 802.11 (WiFi to you and me) we wouldn't have ubiquitous mobile phone, internet, web or wireless tech that just works. But more than that, standards are I think part of the essential underpinning infrastructure that kick starts whole new industry sectors. That's why I think standards are so critical to robotics. Maybe a Robot Standard Interface Specification (or the effort to create it) already exists? If so, I'd very much like to hear about it. Machine intelligence: fake or real? From 2001 to The Matrix, intelligent machines and robots have played a central role in our fictions. Some now claim they are about to become fact. Is artificial intelligence possible or just a science fiction fantasy? And would it be a fundamental advance for humankind or an outcome to be feared? Invited at the last minute, I found myself debating these questions with a distinguished panel consisting of philosophers Peter Hacker and Hilary Lawson, and law academic Lilian Edwards; Henrietta Moore brilliantly chaired. I shan't attempt to summarise the debate here. I certainly couldn't do it, or the arguments of fellow panelists, justice. In any event it was filmed and should appear soon on IAI TV. What I want to talk about here is the question - which turned out to be central to the debate - of whether machines are, or could ever be regarded as, intelligent. The position I adopted and argued in the debate is best summed up as simulationist. For the past 10 years or so I have believed our grand project as roboticists is to build robots that aim to be progressively higher fidelity imitations of life, and intelligence. This is a convenient and pragmatic approach: robots that behave as if they are intelligent are no less interesting (as working models of intelligence for instance), or potentially useful, than robots that really are intelligent, and the ethical questions that arise no less pressing*. But, I realised in Hay-on-Wye, the simulationist approach also plays to the arguments of philosophers, including Peter Hacker, that machines cannot ever be truly intelligent in principle. Reflecting on that debate I realised that my erstwhile position in effect accepts that robots, or AI, will never be truly intelligent, never better than a simulation; that machines can never do more than pretend to be smart. However, I'm now not at all sure that position is logically tenable. The question that keeps going around my head is this: if a thing - biological or artificial - behaves as if it is intelligent, then why shouldn't it be regarded as properly intelligent? Surely behaving intelligently is the same as being intelligent. Isn't that what intelligence is? Let me offer two arguments in support of this proposition. There are those who argue that real intelligence is uniquely a property of living organisms. They admit that artificial systems might eventually demonstrate a satisfactory emulation of intelligence but will argue that nothing artificial can truly think, or feel. This is the anthropocentric (or perhaps more accurately, zoocentric) position. The fundamental problem with this position, in my view, is that it fails to explain which properties of biological systems make them uniquely intelligent. Is it that intelligence depends uniquely on exotic properties of biological stuff? The problem here is there's no evidence for such properties. Perhaps intelligence is uniquely an outcome of evolution? Well robot intelligence can be evolved, not designed. Perhaps advanced intelligence requires social structures in order to emerge? I would agree, and point to social robotics as a promising equivalent substrate. Advanced intelligence uniquely requires, perhaps, nurture because really smart animals are not born smart. Again I would agree, and point to the new field of developmental robotics. In short, I argue that it is impossible to propose a property of biological systems, required for intelligence, that is unique to those biological systems and cannot exist as a property of artificial systems. My second argument is around the question of how intelligence is measured or determined. As I've blogged before, intelligence is a difficult thing to define let alone measure. But one thing is clear - no current measure of intelligence in humans or animals requires us to look inside their brains. We determine a human or animal to be intelligent exclusively on the basis of its actions. For simple animals we observe how they react and look at the sophistication of those responses (as prey or predator for instance). In humans we look formally to examinations (to measure cognitive intelligence) or more generally to ingenuity in social discourse (Machiavellian intelligence), or creativity (artistic or technical intelligence). For advanced animal intelligence we devise ever more ingenious tests, the results from which sometimes challenge or prejudices about where those animals sit on our supposed intelligence scale. We heard from Lilian Edwards during the debate that, in common law, civil responsibility is likewise judged exclusively on actions. A judge may have to make a judgement about the intentions of a defendant but they have to do so only on the evidence of their actions**. I argue, therefore, that it is inconsistent to demand a different test of intelligence for artificial systems. Why should we expect to determine whether a robot is truly intelligent or not on the basis of some not-yet-determined properties of its internal cognitive structures, when we do not require that test of animals or humans? The counter-intuitive and uncomfortable conclusion: machine intelligence is not fake, it's real. *perhaps even more so given that such robots are essentially fraudulent. **with thanks to Lilian for correcting my wording here. Well it's taken awhile, but the draft revised 'laws of robotics' have now been published. New Scientist article Roboethics for Humans, reporting on the EPSRC/AHRC initiative in roboethics, appears in this week's issue (Issue 2811, 7 May 2011). These new draft ethical principles emerged from a workshop on ethical, legal and societal issues in robotics. The main outcome from the workshop was a draft statement aimed at initiating a debate within the robotics research and industry community, and more widely. That statement is framed by, first, a set of high-level messages for researchers and the public which encourage responsibility from the robotics community, and hence (we hope) trust in the work of that community. And second, a revised and updated version of Asimov’s three laws of robotics for designers and users of robots; not laws for robots, but guiding principles for roboticists. 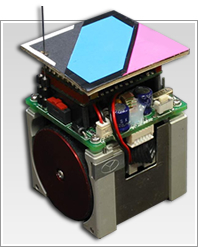 We believe robots have the potential to provide immense positive impact to society. We want to encourage responsible robot research. Bad practice (in robotics) hurts us all. Addressing obvious public concerns (about robots) will help us all make progress. It is important to demonstrate that we, as roboticists, are committed to the best possible standards of practice. To understand the context and consequences of our research we should work with experts from other disciplines including: social sciences, law, philosophy and the arts. We should consider the ethics of transparency: are there limits to what should be openly available? When we see erroneous accounts in the press, we commit to take the time to contact the reporting journalists. 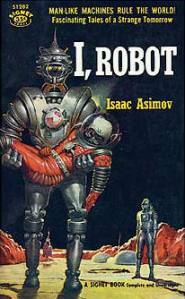 Isaac Asimov's famous 'laws of robotics' first appeared in 1942 in his short story Runaround. They are (1) A robot may not injure a human being or, through inaction, allow a human being to come to harm; (2) A robot must obey any orders given to it by human beings, except where such orders would conflict with the First Law, and (3) A robot must protect its own existence as long as such protection does not conflict with the First or Second Law. Now it's important to say, firstly, that these are the work of a group of people so the wording represents a negotiated compromise*. Secondly, they are a first draft. The draft was circulated within the UK robotics community in February, then last month presented to a workshop on Ethical Legal and Societal issues at the European Robotics Forum in Sweden. So, we already have great feedback - which is being collected by EPSRC - but that feedback has not yet been incorporated into any revisions. Thirdly, there is detailed commentary - especially explaining the thinking and rationale for the 7 messages and 5 ethical principles above. That commentary can be found here. directly contact myself or any of the workshop members listed in the commentary. *So, while I am a passionate advocate of ethical robotics and very happy to defend the approach that we've taken here, there are some detailed aspects of these principles that I'm not 100% happy with. In future if anyone wants to know what I think - about almost anything scientific and quite alot else - all I have to do is point them to my profile and my collected answers on I'm a Scientist get me out of here. It's been a week now since IAS concluded and the winners announced and I've had time to collect my thoughts, catch up on the day job, and reflect on taking part in this most excellent event. No. I'm a Scientist is an altogether more civilised affair. It's a direct engagement with school children; meet-the-scientist on-line in which school children can ask the scientists questions on more or less anything they like. There are two types of engagement, chat and ask. The live chat sessions are booked by teachers and scheduled during school science lessons - a bit like having a panel of scientists sitting at the front of the classroom answering questions, except it's on-line. Ask allows the children to submit their questions through the web page for the scientists to answer in their own time. Both types of engagement are moderated by the good people who run I'm a Scientist. Why then - if I'm a Scientist is so wonderful (which it is) - was I relieved to be evicted? Well, it's because after nearly 2 weeks the questions just keep coming and trying to keep up (especially given that we all have day jobs) became, if I'm completely honest, something of a test of endurance. Not counting the live chat school sessions I answered about 175 questions altogether. Other I'm a Scientist scientists who read this will scoff and say "pah, only 175!". And they'd be right - Sarah Thomas in my zone answered over 300 questions, and the awesome David Pyle in the potassium zone around 600! But even my paltry 175 questions took I reckon about 30 hours to answer, at an average 10 minutes per question (which is going fast). Do you think the idea of a graviton is stupid? How likely is it that there are other life forms like us? Atoms and particles act in probabilistic ways and our brain is made up of atoms and particles, so is there such thing as free will? Brilliant - it was a kind of science soap box! I got to pontificate on life on Mars, the end of the world and human extinction, global warming, nuclear power, dreams, light years, my favourite animal, my favourite car, string theory, the Higgs Boson and dark matter. But the non-science questions make you stop and think - hmm how much do I want to reveal about what I think about antidisestablishmentarianism, my religous beliefs, resurrection or the meaning of life..? You seem like the elder of the Science-Group - do you think knowledge come with experience? If you're thinking of putting yourself forward for I'm a Scientist I would say yes go for it. It's hugely good fun and massively worthwhile. But (1) set aside plenty of time, (2) be prepared to answer questions on more or less anything and (3) be honest about yourself and what you really think about stuff. I have a dilemma and it is this. I'm torn between lusting after an iPad 2 and serious worries over the ethics of its manufacture. There's no doubt that the iPad is a remarkable device (Jobs' hyperbole about magical and revolutionary is quite unnecessary). Several academic friends have told me that the iPad and one application in particular - called iAnnotate - has changed their working lives. Having seen them demonstrate iAnnotate there's no doubt it's the academic's killer iPad app. You see, something we have to do all the time is read, review and edit papers, book chapters, grant applications and working documents. For me that normally means printing a paper out, writing all over it, then either tediously scanning the marked up pages - uploading them to Google docs - then emailing the link, or constructing a large email with a list of all my changes and comments. What my friends showed me was them reviewing a paper on the iPad, writing all over it with a stylus, then just emailing back the marked up document. Amazing - this could save me hours every week. But here's the problem. The iPad may well be a marvel of design and technology but - like most high tech stuff these days - it's profoundly unsustainable and it's manufacture is ethically questionable. Now to be fair to Apple, this is not a problem that's unique to them - and I'm prepared to believe that Apple does genuinely care about the conditions under which it's products are manufactured and is doing all it can to pressure it's subcontractors to provide the best working conditions for their employees. But the problem is systemic - the only reason that we can buy an iPad, or laptop, or flat screen TV, or any number of consumer electronics products for a few hundred pounds is that they're manufactured in developing countries where labour is cheap and working conditions are a million miles from what we would regard as acceptable. And I'm not even going to start here about the sustainability of those products - in terms of the true energy costs, and costs to the environment, of their manufacture during incredibly complex supply chains, or the environmental costs of their disposal after we've finished with them. Maybe that's part of the answer to my dilemma - get an iPad and run it for 20 years..? But even applying Bangernomics still won't salve my conscience when it comes to the ethics or sustainability of its manufacture. So, what am I to do? what means will we be able to develop by which we can identify/recognise meaningful/cultural behaviour [in the robots]; and, then, what means might we go on to develop for interpreting or understanding this behaviour and/or its significance? Now, more than 3 years on, we come face to face with that question. Let me clarify: we are not - or at least not yet - claiming to have identified or recognised emerging robot culture. We do, however, more modestly claim to have demonstrated new behavioural patterns (memes) that emerge and - for awhile at least - are dominant. It's an open-ended evolutionary process in which the dominant 'species' of memes come and go. Maybe these clusters of closely related memes could be labelled behavioural traditions? Leaving that speculation aside, a more pressing problem in recent months has been to try and understand how and why certain behavioural patterns emerge at all. Let me explain. We typically seed each robot with a behavioural pattern; it is literally a sequence of movements. Think of it as a dance. But we choose these initial dances arbitrarily - movements that describe a square or triangle for instance - without any regard whatsoever for whether these movement sequences are easy or hard for the robots to imitate. Not surprisingly then, the initial dances quickly mutate to different patterns, sometimes more complex and sometimes less. But what is it about the robot's physical shape, its sensorium, and the process of estimation inherent in imitation that gives rise to these mutations? Let me explain why this is important. 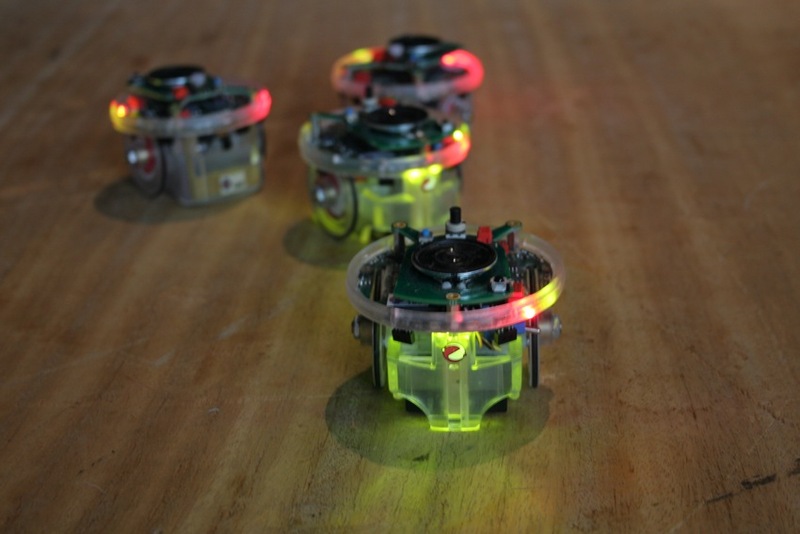 Our robots and you, dear reader, have one thing in common: you both have bodies. And bodies bring limitations: firstly because you body doesn't allow you to make any movement imaginable - only ones that your shape, structure and muscles allow, and secondly because if you try to watch and imitate someone else's movements you have to guess some of what they're doing (because you don't have a perfect 360 degree view of them). That's why your imitated copy of someone else's behaviour is always a bit different. Exactly the same limitations give rise to variation in imitated behaviours in the robots. Now it may seem a relatively trivial matter to watch the robots imitate each other and then figure out how the mutations in successive copies (and copies of copies) are determined by the robots' shape, sensors and programming. But it's not, and we find ourselves having to devise new ways of visualising the experimental data in order to make sense of what's going on. The picture below is one such visualisation; it's actually a family tree of memes, with parent memes at the top and child memes (i.e. copies) shown branching below parents. Unlike a human family tree each child meme has only one parent. In this 'memeogram' there are two memes at the start, numbered 1 and 2. 1 is a triangle movement pattern, and 2 is a square movement pattern. 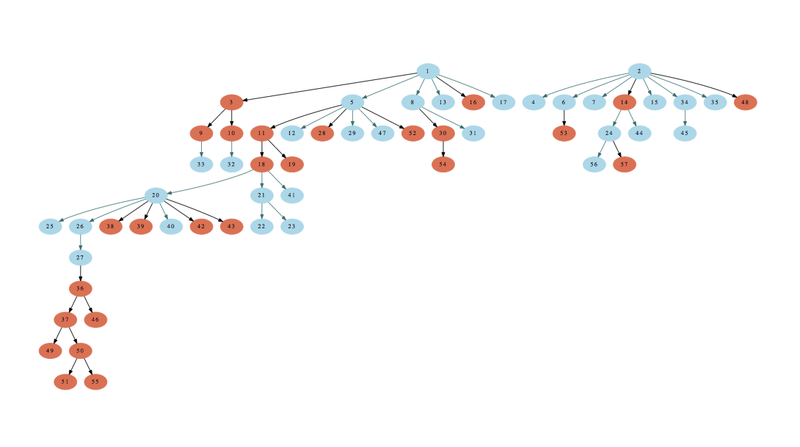 In this experiment there are 4 robots, and it's easy to see here that the triangle meme dominates - it and its descendants are seen much more often. The diagram also shows which child-memes are high quality copies of their parents - these are shown in brown with bold arrows connecting them to their parent-memes. This allows us to easily see clusters of similar memes, for instance in the bottom-left there are 7 closely related and very similar memes (numbered 36, 37, 46, 49, 50, 51 and 55). Does this cluster represent a dominant 'species' of memes? Also posted on the Artificial Culture project blog.